In response to the increasing inadequacies of the aging old facilities and changes to accreditation standards and Community expectations, the Board of Warmington Lodge and Horton House determined to co-locate Warmington Lodge with Horton House on the Castor Street Site. 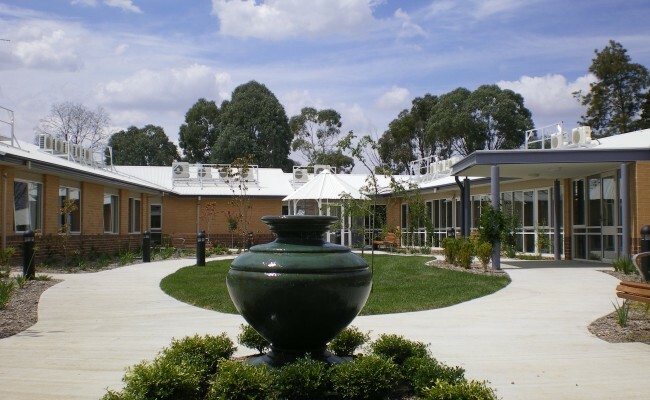 With a Commonwealth grant and the generosity of the people of Yass and districts and the support of the Yass Valley Council the project would deliver a new 30 bed low-care accommodation facility. The new building is a state of the art facility with vastly improved accommodation for all residents. The resident rooms are grouped around a central courtyard on a single level that encourages movement throughout. They have approximately 40% more space and the rooms and social spaces are well appointed. 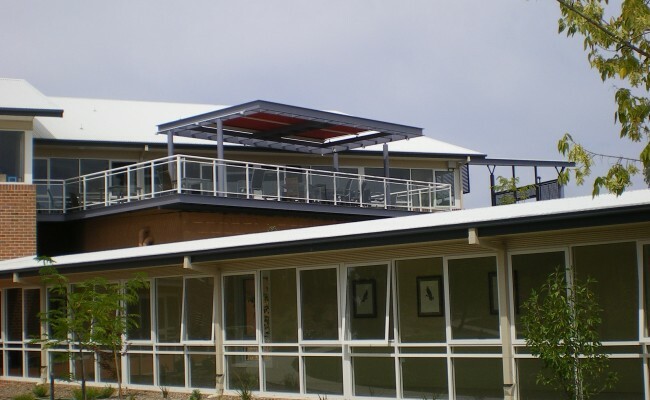 Warmington Lodge has pleasant surroundings which help to provide a home-like environment. Beneath the residential building is the multi-purpose Robinson Room that is self-contained and can seat up to eighty people or be configured for different public or internal purposes. This opens out onto a courtyard, which can be accessed from, and shared with, Horton House. 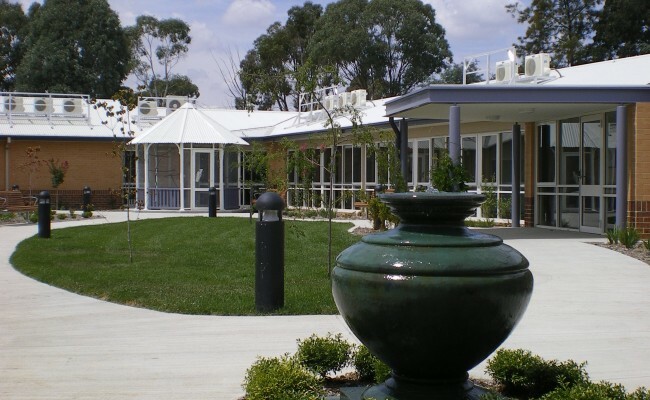 Warmington Lodge operated under the philosophy of living with dignity in a warm, caring and supportive environment. The co-location with Horton House ensures that residents will be able to ‘age- in – place’, that is: as their care levels increase, the care will be brought to them. 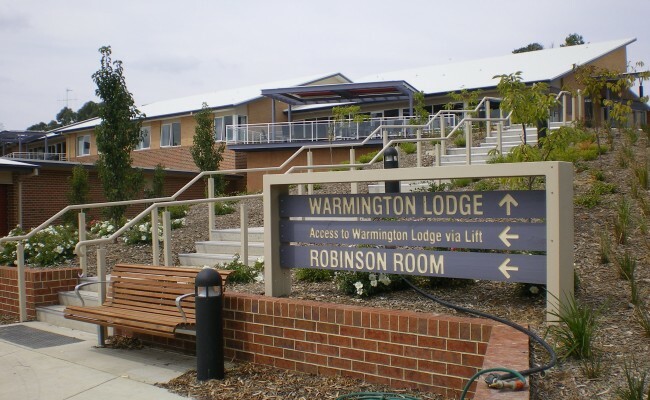 Warmington Lodge is a place of which the people of Yass and districts can feel justifiably proud. 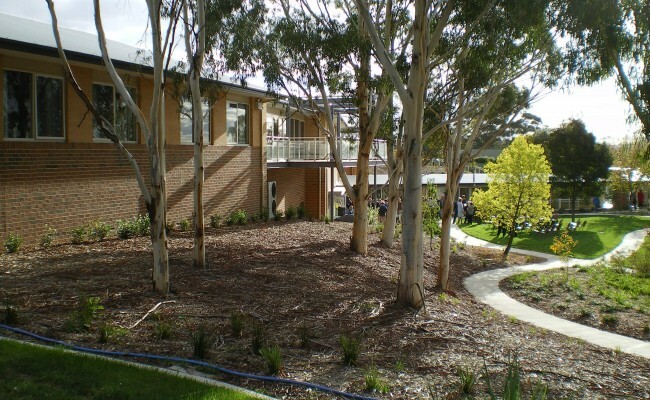 The key ESD issue in Yass is to harvest rainwater and to minimise water usage. 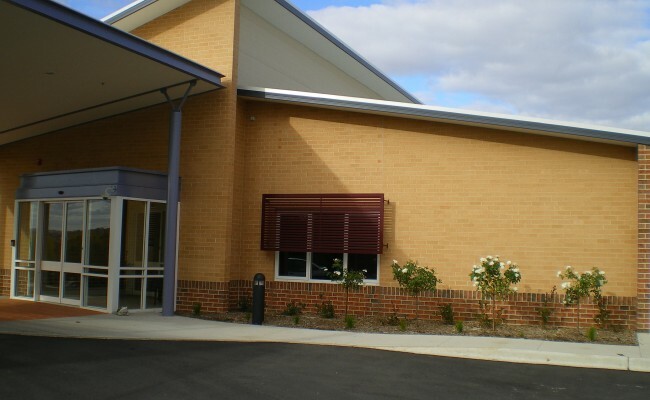 To achieve this, a very large concrete storage tank was integrated into the retaining wall supporting the building and fed from the large Colorbond roof. Water efficient tapware is used throughout. I would commend Small Quinton Coleman to anybody looking to engage an architectural firm that listens to the client and community’s needs, provides excellent documentation and is highly professional in contract administration.